Was busy for most of the morning and didn't find out about this till about an hour ago. My goodness what a terrible day. 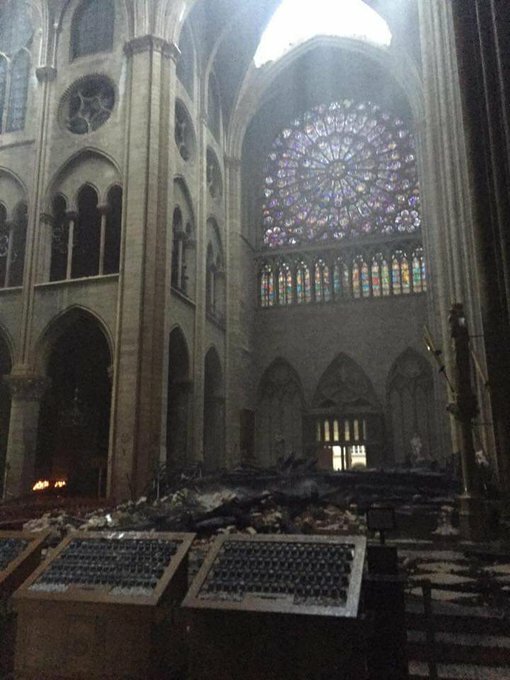 I've never been there but it's devastating thinking about all the historical, irreplaceable artifacts that have been lost. Hopefully the stone structure doesn't collapse. One person they interviewed said it could take a generation to restore it to i's former self. So far no word of any lives lost so hopefully it stays that way. The building was being renovated but only to the tune of €4M the actual money required for the restoration was €160M the stone structure is actually eroding away. Those costs will pale into insignificance now sadly. IT does appear the vaults right under the roof are holding up the burning Wood. If they hold, internal damage may be limited. I think the fire is out now. At least, that's what my reading of a German headline says. Two large bell towers largely undamaged. One vault collapsed, rest of the inside mostly intact. 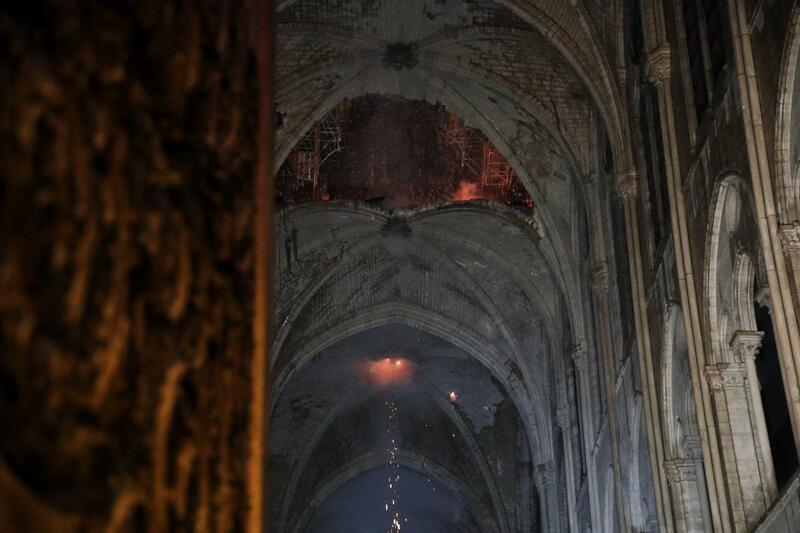 The photos show the damage to the interior much less than feared, but ancient buildings catching fire while renovation in progress are all too common. Also recall the Cutty Sark fire in London in 2007, again during renovation. So tragic, but from the initial pictures of the fire I feared everything would be lost. Yes, I felt much the same. Apparently there was enough time that most of the historical artifacts were saved. An idiot friend-of-a-friend was arguing that it wasn't really a tragedy, because something something French imperialism. The Algerian in the group disagreed and was consistently treated as just another white guy. After he claimed that opposing Communism was racist because most Communist countries were African, Asian, or South American--and then insisting that the USSR had been culturally Asian--he got unfriended by the guy whose friend I am. The Notre Dame is human engineering ingenuity and will at its best. It is a work of gothic and architectural art. It has nothing to do with french imperialism, it IS world heritage. 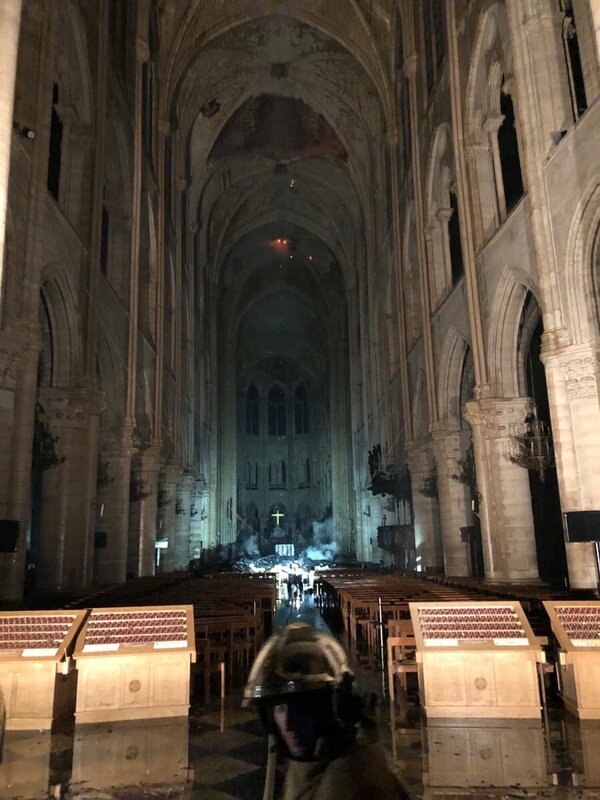 The following livestream shows the work still being done by firefighters and other personell around the cathedral. Recently it shows a statue being cut off from the building and lowered down by crane. I'm very encouraged by reports of how much has survived. I had the privilege of singing Mass in Notre-Dame in 1996. Our conductor was very savvy. We were given half an hour for private rehearsal, all the tourists having been shooed out. He rehearsed for all of sixty seconds and then told us to go experience the cathedral without the press of the crowd. It was sublime. Notre-Dame de Paris is an icon of Western architecture. It transcends all boundaries of history, politics, and religion. Our choir in the cloister of Notre-Dame, preparing to go in for rehearsal. And the flying buttresses.